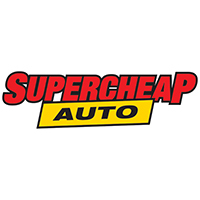 Supercheap Auto was established in 1972 and has since grown into a major specialist retailer with 290 stores across Australia and New Zealand and more than 3,800 team members. Purchase your eGift card online and it will be e-mailed to you instantly. Simply print the e-mail and present at checkout. Redeemable at participating Supercheap Auto stores within the country of purchase. Not redeemable for cash or travellers cheques. This card is partially redeemable and it is up to the card holder to use the full value within the validity period. Any unused balance will not be refunded or credited with the card expires. Where the cost of the purchase exceeds the available card balance the card holder will be required to make the difference with an alternate form of payment. This card should be treated like cash. Supercheap Auto disclaims any responsibility for lost or stolen cards. Subject to availability VISA & MasterCard payments only. eGift cards are non-refundable or transferable. Location and participating outlets are subject to change at any time. Redeemable at all Australian Supercheap Auto stores. Save 29% off tour and Melb Attraction Pass combo! 10% discount when this advertisement mentioned. Please click on the book button below to order your Supercheap Auto eGift Card. It is the responsibility of the purchaser to ensure all correct details are provided. eGift Card is deemed as cash and cannot be refunded or reissued after payment has been made. Please check your email address is correct before processing payment to ensure your Card number and Pin number is delivered correctly.